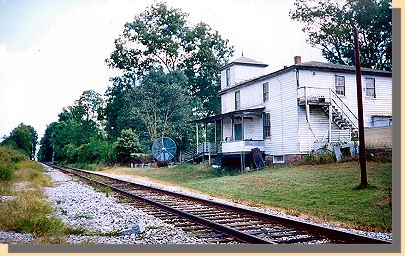 Author's car is on Route 691 leaving Tunstall's Station. 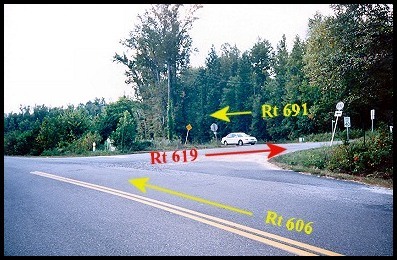 Following the road at Garlick's Landing, we circle back to Route 607, and proceed to its intersection with Route 606. Turning left onto Route 606, Old Church Road, we follow it for about two miles before turning right onto Hopewell Road, Route 619. Immediately --- and I mean immediately --- after turning onto Route 619, we turn left onto Route 691. Route 691 dead-ends at a railroad track at Tunstall's Station. Returning from Tunstall's station, on Routes 691 and 619, we turn right onto Route 606. As we proceed on Route 606 it merges with Route 609. One-half mile after the merge, on the road now called, Route 609, we turn left onto St. Peter's Church Road, Route 642. A little over half a mile down Route 642, we come to the entrance road for the Church. 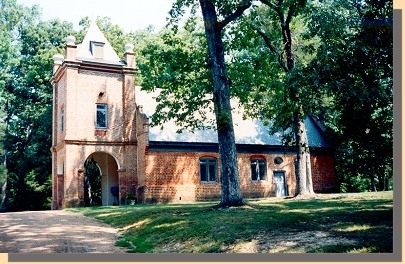 George Washington may have married Martha Curtis in St. Peter's Church. 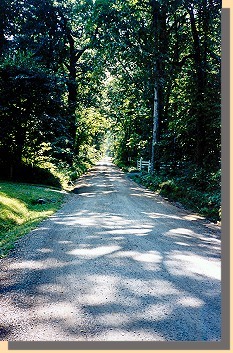 Road to Saint Peter's Episcopal Church, Route 642. 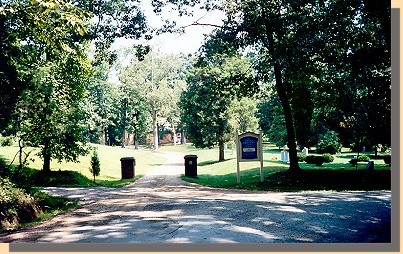 Entrance to Saint Peter's Episcopal Church. 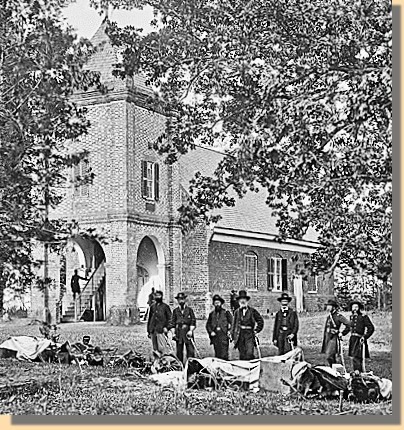 Saint Peter's Episcopal Church - 1860's. Union Personnel (foreground), left to right: Maj. A.M. Clark, volunteer A.D.C. ; Lt. Col. J.H. Taylor, A.G.; Capt. F.N. Clarke, Chief of Arty. ;General E.V. Sumner, Lt. Col. J. F. Hammond, Medical Director; Capt. Pease, Minnesota Vols., Chief of commissary; Capt. Gabriel Grant.